This Oatmeal and Goats Milk bath soak makes a luxurious milk bath by adding 2-3 spoonfuls to a warm bath. You can also make into a paste and apply to problem areas. 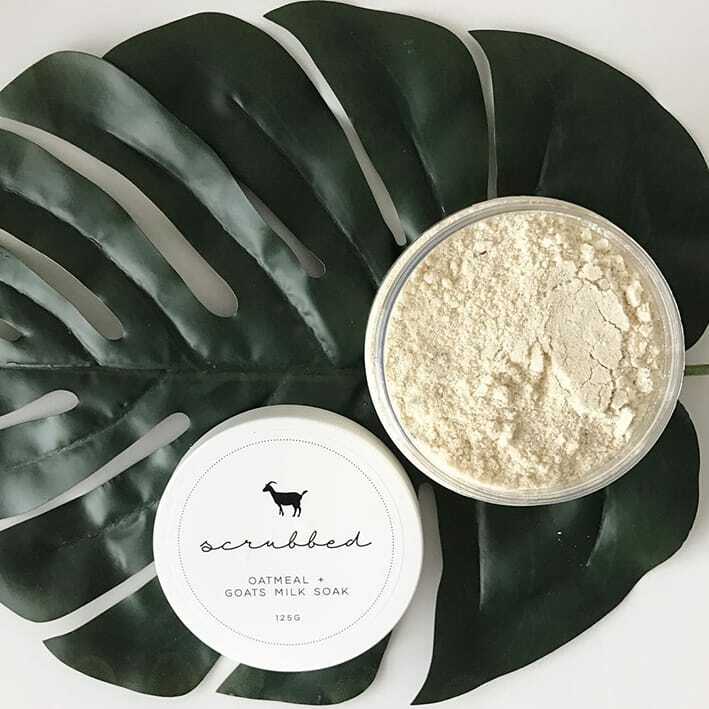 Oatmeal contains anti inflammatory properties and can be used to help with a number of skin conditions, while goats and cows milk nourish and soothe the skin. Our soak is gentle enough for even the youngest of skins. It is the perfect bath-time solution for babies, let the relaxing and calming effects of lavender essential oils drift baby into a world of ease. INGREDIENTS: oatmeal, goats milk powder, cows milk powder, coconut flour, lavender , lavender essential oil.